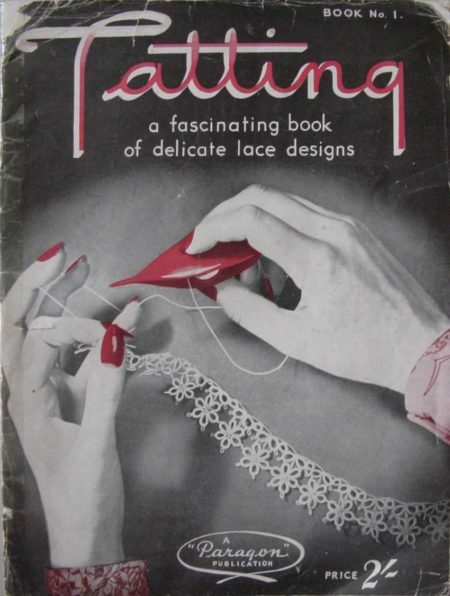 I’m so excited to say I finally managed to find a copy of the beautiful Furness Tatting Designs number 2 booklet from New Zealand to Share with you! 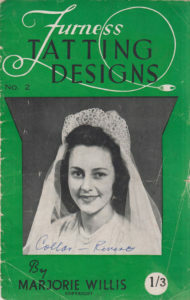 This booklet contains many stunning designs including the bride’s halo shown on the cover, and a really nice baby bonnet that would be a very nice piece for a doll collector or christening outfit. 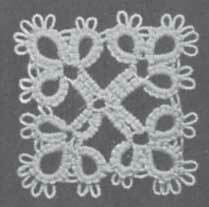 Check out the full list of tatting booklets available for Furness Tatting Designs numbers 1 and 3.
and have decided to use this motif out of it for the doily I wanted to make, instead of the one from Modern Priscilla which I had decided on before. I prefer this one because it’s a bit more complex than the one I was originally going to use, which will make it a bit more challenging. The cream thread is size 40 and the “random kingfisher” is size 20. If anyone knows where I can find more random kingfisher in any size thread please let me know! I bought one ball at an op shop so it’s probably vintage but it’s my favourite colour and I’d like to stock up on some more. 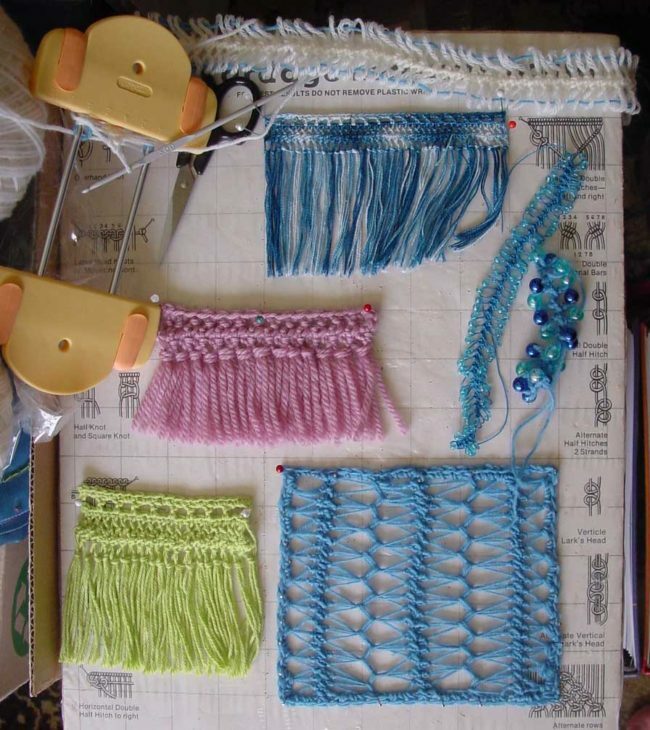 Here are the fringes I came up with. 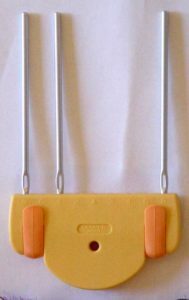 Top: 1 double crochet (US single crochet) worked in the regular way (through the stitch) and then the short loops were chained together as a cable edge. 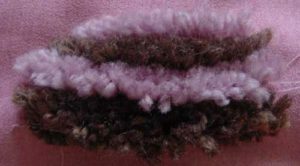 I tied some loops in a knot, then snipped the ends and fluffed out the fringe for another look. I don’t like this fringe as I find the header to be all floppy and unattractive. 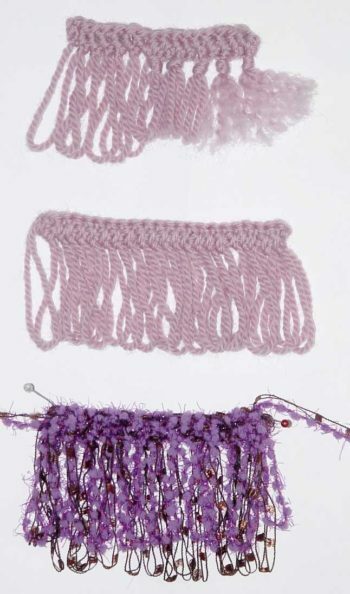 Middle: This is the technique I like for a plain fringe. 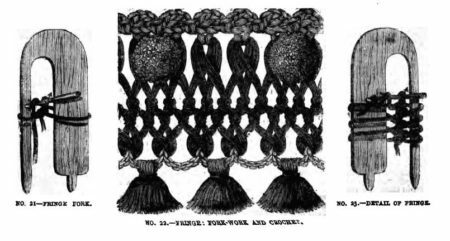 I worked one double crochet per row again, but instead of working through the middle of the loop, I worked under both threads, trapping the whole loop within the stitch. 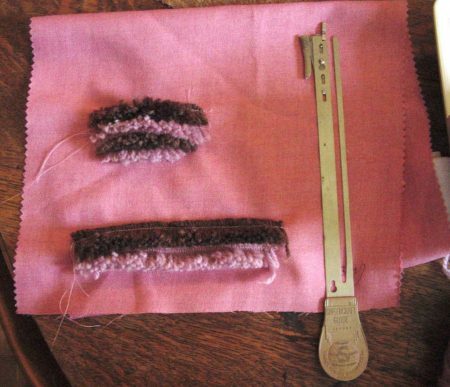 You do have to put a thread through the small loops when you take it off the loom or they will threaten to undo. I threaded the small loops like a cable edge on this sample again. This made a nice tidy and firm header. 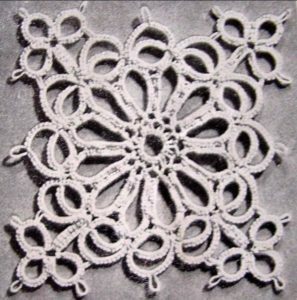 I’ve also decided on a motif for my next tatting project! 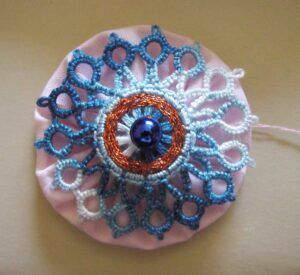 It’s from the Priscilla Tatting Book #1 and I think I’ll make it in size 20, blue thread. 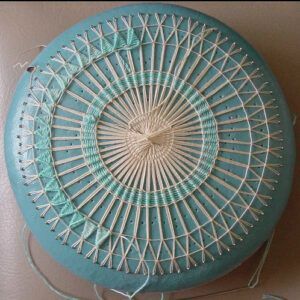 I don’t have much blue size 20 thread left so I’m going to see what they have at the needlework store on Thursday. Now, back to sewing all those suffolk puffs together!